I rarely review just one book for Children’s books- not because there are few that are singularly amazing and stand alone. Rather there are so many books that it seems appropriate to group them together with bonds that connect them. The Book of Mistakes however needs it’s very own, independent space to shine. It is a miraculous read on many counts. First the illustrations are absolutely gorgeous. A simple black splodge on the page evolves quickly into a luscious landscape of color, form and whimsy. 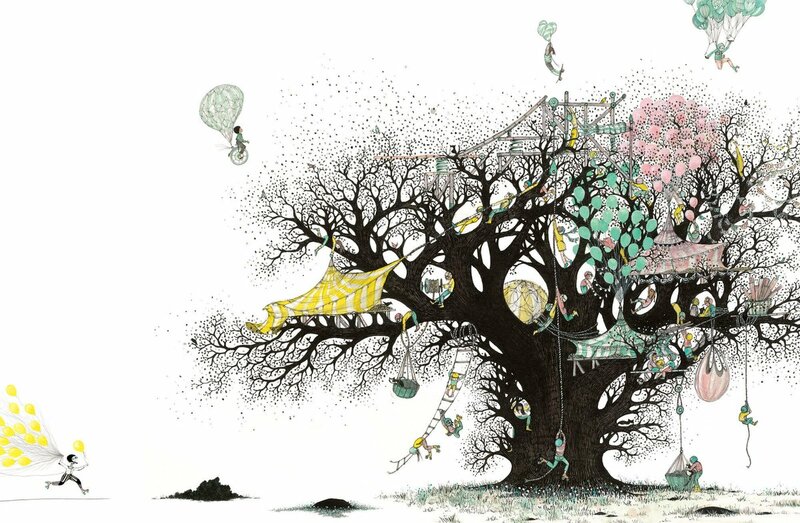 A simple pencil sketching gives way to an intricate microcosm that explodes with color and characters. There is an off-handedness to the pictures, yet also a meticulous precision. 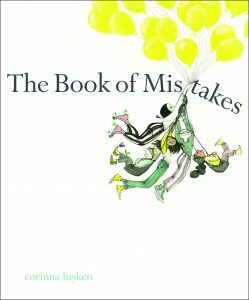 On a deeper level the book is about mistakes; about failing. Failure however is not depicted as something to be ashamed of, but as something to revel in because with failure there is acceptance of mistakes and growth. The girl makes a “mistake” with a black mark on her page. For many children, this could be the start of a definite source of frustration and anger, but not for the girl in the book. She rolls with her mistakes and continues to create. Cow-cats evolve in rocks and for her character’s feet that seem to be too far from the ground, become at once roller skates and just perfect for the scene. We all make mistakes. How we deal with making them can have a profound effect on how we evolve as people. If we become forlorn and upset, it hinders our confidence. If we take a little leaf out of Bob Ross’ book and acknowledge that we don’t make mistakes, but “happy little accidents” we thrive. In The Book of Mistakes we indulge our errors, we push our own boundaries and we turn the page to a new chapter.